The small size and portability of a laptop computer makes it a far more convenient than a standard desktop computer, but being such, it is more vulnerable to damage than its desktop counterpart. Laptops are also generally more difficult to fix, and they tend to require more expensive, difficult-to-install parts. Fortunately, there are a number of simple precautions that you can take to protect your laptop computer and ensure that it continues to function properly over the course of time. Power cables can become frayed over time and may end up exposing the copper wiring. This not only poses a shock hazard, but it can also cause the laptop to shut down unexpectedly. Charging cables tend to deteriorate near the computer’s power jack, so when you store a portable computer, but sure to check that the cord is not in a bent position, as this will put stress on the cord’s outer coating. It is best to keep the adapter or power cable in one of the carrying case pockets, rather than wrapping the cord around your computer. 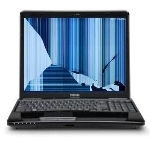 Perhaps the most common laptop mishap is a cracked screen. Although laptop screen repair services are surely available, it’s always better to prevent this problem by keeping your computer on a stable surface. Avoid the common mistake of putting it near the edge of a table, chair or sofa. When transporting your laptop, always keep it in a padded carrying case of the proper size, so that it fits snugly and is shielded from damage. Use care when connecting network or power cables to your laptop; people can trip on them and cause the computer to fall. Tips4PC laptop care, laptop maintenance, laptop tips, laptop troubleshooting, portable pc tips. permalink. You could buy a set of recovery discs on Ebay..
Another thing you can try is to boot to a cmd window. then try to create another user. Not sure if it will work on vista? ?